Speaking at the Sixth Global Forum of the U.N. Alliance of Civilization (AoC) in Bali, Indonesia last week, Secretary-General Ban Ki-moon applauded the AoC for expanding its valuable work addressing the sources of conflict and planting new seeds of peace. 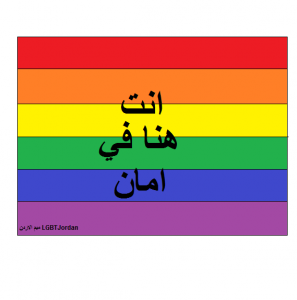 “I welcome its commitment to promoting inter-religious and inter-cultural dialogue,” he added. These are essential tools to preventing and resolving conflicts. “I count on your support for efforts by the Alliance and by the entire United Nations system,” Ban said. Addressing delegates, the High Representative for AOC Nassir Abdulaziz al-Nasser said: “As we look around the world, it is clear that identity-based tensions are a persistent source of conflict”. Whether it is religion, culture, ethnicity or another vector of identity, brother is being pitted against brother, he added. “We see this clearly in the heartbreaking violence in Syria, Iraq, Gaza, the Central African Republic, Nigeria, Myanmar, Sri Lanka among other places. 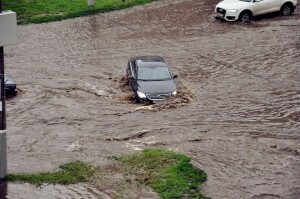 Beyond these immediate crises, there are longer-term trends that present difficulties,” he said. The AOC is in its seventh year of operations and the Bali event is the first global forum to be held under the leadership of al-Nasser. The High Representative pointed out that conflict, deprivation, climate change, and the absence of economic opportunity are forcing millions around the world to leave their homes. When people cross borders, he said, often little infrastructure exists to accommodate them into their new host societies. Moreover, as migrants, they often face discrimination. Even if only at a small scale, we must face these problems and come up with viable solutions. With a humble budget, the Alliance directly collaborates with individuals on the ground to come up with scalable models to address these problems. In its work, the Alliance has placed special emphasis on the need to mobilize individuals across diverse communities, across fault lines. The Alliance does so with limited resources and a small staff. “This is my main message to you, our friends in the media and the international community,” he added. 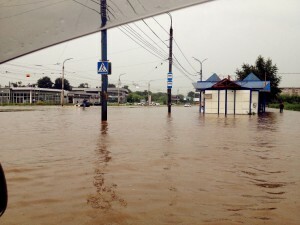 The secretary-general said: “I see many disasters in today’s world. The natural calamities are heart-breaking. What is most saddening in many ways, these man-made tragedies are even worse”. He said the Alliance of Civilizations was created to reach the hearts and minds of people and build bridges to peace. “I applaud High Representative Ambassador Al-Nasser for working with many grassroots groups around the world,” Ban declared. Under his leadership, the Alliance is making a difference on the ground. It is helping Pakistani university students take the lead in healing sectarian divisions. It is supporting theatre by Kenyan citizens to prevent young people from joining terrorist movements. And it is encouraging Muslim-Christian volunteerism in Mindanao. In Israel-Palestine, the Alliance works to join families from both sides who have lost loved ones in the conflict. By having a dialogue with each other, they challenge their leaders to do the same, the secretary-general added. In southern India, home to over a million fisherfolk, efforts to strengthen disaster resilience and simultaneously improve livelihoods for impoverished fishing communities are proving to be successful examples of sustainable development. Here in the Kollam district of the south-western Kerala state,multimedia outreach programmes, using nationwide ocean forecasts, are bringing much-needed change into the lives of fisherfolk, who in southern India are extremely vulnerable to disasters. A fishing family earns on average some 21,000 rupees (about 346 dollars) per month but most of these earnings are eaten up by fuel expenses, repayment of boat loans and interest payments. Savings are an impossible dream, and fisherfolk have neither alternate livelihood options nor any kind of resilience against disasters. In Jul. 2008, 75 Tamil-speaking fisherfolk from the district of Kanyakumari in the southern state of Tamil Nadu perished during Cyclone Phyan, caught unawares out at sea. 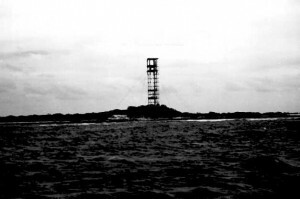 The costal radio broadcasts, warning of the coming storm, did not deter the fishers from heading out as usual, because they could not understand the local language of the marine forecasts. Earlier this year, on Jul. 22, 600 fisherfolk sailing on about 40 trawlers went missing off the coast of Kolkata during a cyclone and were stranded on an island near the coast of Bangladesh. Only 16 fishers were rescued. The incident revived awareness on the need for better communication technologies for the most vulnerable communities. The Indian National Center for Ocean Information Services (INCOIS) is leading the charge, by uploading satellite telemetry inputs to its server, which are then interpreted and disseminated as advisories by NGOs like the MS Swaminathan Research Foundation (MSSRF) and Radio Monsoon. Best known for its state-of-the-art tsunami early warning forecasts, INCOIS offers its surplus bandwidth for allied ocean advisory services like marine weather forecasts, windspeeds, eddies, and ocean state forecasts (including potential fishing zones) aimed at fisherfolk welfare and mariners’ safety. “Oceanographers in INCOIS interpret the data on ocean winds, temperature, salinity, ocean currents, sea levels [and] wave patterns, to advise how these factors affect vulnerable populations,” INCOIS Director Dr. Satheesh Shenoi told IPS. “These could be marine weather forecasts, advisories on potential fishing grounds, or early warnings of tsunamis. INCOIS generates and provides such information to fishers, [the] maritime industry, coastal population [and] disaster management agencies regularly,” he added. This new system works hand in hand with community-based information dissemination initiaitves that shares forecasts with the intended audience. Radio Monsoon and the MSSRF multimedia outreach initiatives are the first such interventions aimed at fisherfolk safety and welfare in India. Radio Monsoon, an initiative of an Indian climate researcher at the University of Sussex, Maxmillan Martin, ‘narrowcasts’ the state of the ocean forecasts on loudspeakers in fisherfolk villages, asking for fishers’ feedback, uploading narrowcasts online and using SMS technology for dissemination. “As our tagline says: it is all about fishers talking weather, wind and waves with forecasters and scientists. It contributes to better reach of forecasts, real-time feedback and in turn reliable forecasts,” Martin told IPS. Information is passed on to fishers via three-minutes bulletins in Malayalam, the local language. Ultimately all this contributes to enhanced safety and security for fisherfolk. According to S. Velvizhi, the officer in charge of the information education and communications division at the MSSRF, “The advisories from INCOIS are disseminated through text and voice messages through cell phones with an exclusive ‘app’ [a cellphone application] called ‘Fisher Friend Mobile Application’. “We also broadcast on FM radio in a few locations, we have a dedicated 24-hour helpline support system for fishers and a GSM-based Public Address system,” she added. “More than 25,000 fishers in 592 fishing villages in 29 coastal districts in five states (Tamil Nadu, Puducherry, Odisha, Kerala and Andhra Pradesh), are receiving the forecast services daily,” Velvizhi claims. 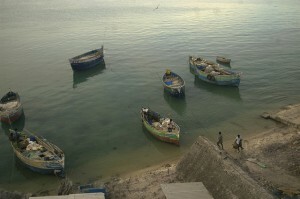 On the tsunami battered coasts of Nagapattinam and Cuddalore in Tamil Nadu, fisherfolk have become traumatised by anxiety, a depleting fish catch, changes in coastal geography and bathymetry, increase in loan interests, threats to their food and livelihood security and loss of fishing gear and craft. In this context, MSSRF’s community radio initiative using affordable communication technologies for livelihood security has become a game changer. The information dissemination services undertaken by MSSRF include – apart from ocean state forecasts –“counsel to fisher women, crop and craft-related content, micro finance, health tips, awareness against alcoholism [and] the need for formal education for fishers’ children all disseminated through text and voice messages” according to S. Velvezhi. Summing up the cumulative effect of the initiatives, 55-year-old Pichakanna in MGR Thittu, who survived the tsunami in Tamil Nadu’s Pichavaram mangroves on Dec. 26, 2004, told IPS, “Thanks to MSSRF interventions on community radio we have learnt new livelihood skills like fishing whereas before the tsunami we were hunter-gatherers or daily-wage agricultural labourers. “Our children are now getting formal education, we have awareness about better health and hygiene and alcoholism has decreased noticeably; this has helped [eliminate] unwarranted expenditure on alcohol and improved our health, livelihood and food security for all,” he added. As the United Nations commemorated the International Day Against Nuclear Tests this week, Secretary-General Ban Ki-moon lamented the fact that in a world threatened by some 17,000 nuclear weapons, not a single one has been destroyed so far. On August 15, the foreign ministers of the European Union gathered in Brussels and decided that each would henceforth be free to supply arms to Kurdish rebels fighting Sunni extremists of the Islamic State in the north of Iraq. Even Germany which in the past had been unwilling to furnish military supplies to warring parties in ‘conflict zones’, is now ready to provide armoured vehicles and other hardware to the Kurds opposing the Islamic State’s advance. The decision of Europe’s foreign ministers may surprise some because, barely a year and four months ago, in April 2013, the European Union had lifted a previously instituted ban on all imports of Syrian oil. Moreover, the lifting of this boycott was quite explicitly intended to facilitate the flow of oil from areas in the north-east of Syria, where Sunni extremist rebel organisations had established a strong foothold, if not overall predominance over the region’s oil fields. The Islamic State was not the only Sunni extremist organisation disputing control over Syrian oil fields. Yet there is little doubt that the fateful decision that the European Union took last year helped the Islamic State consolidate its hold over Syrian oil resources and prepare for a sweeping advance into areas with oil wells in the north of Iraq. The Syrian oil fields are basically concentrated in Deir-ez-Zor, a province bordering on Iraq. Whereas oil extraction in Syria has always been very limited in size if measured as a percentage of world supplies, control over the Syrian oil wells plus its refinery has become crucial for the financing of the Islamic State’s war efforts. In neighbouring Iraq, oil reserves are not concentrated in one single geographic region as they are in Syria. The bulk of the oil wells are to be found in the country’s south, at great distance from the Islamic State’s war theatre in the north. Only one-seventh of Iraq’s oil resources are said to be located in areas controlled by the Islamic State on the one hand, and Kurdish fighters on the other. Nevertheless, recent reports indicate that the Islamic State controls at least seven major oil wells in Iraq alone. Using expertise gathered after it established control over wells in Syria, the Sunni extremist organisation is able to draw huge profits from the smuggling and sale of oil. It is the Islamic State’s oil-backed armed strength amassed in two adjacent civil wars that has now sent shivers throughout the Western world. If the European Union’s April 2013 decision appears to have helped trigger the Islamic State’s current success, the situation created is historically novel. To my knowledge, never before has a rebel force fighting a civil war in the global South been able to base its war aspirations on control over oil. True, in most of the civil wars that have rocked Africa over the last thirty years, access to raw materials has been fundamental. Witness the cases of Angola, Sierra Leone, Liberia, Congo (DRC) and Sudan. It is also true that oil exports have been a specific mode of war financing, for instance in Angola and the Sudan. Yet, in those cases, the state remained in command of the oil wealth. In Angola, the right-wing rebel movement UNITA relied heavily on smuggling rough diamonds towards financing its war, while the country’s oil fields were located at great distance UNITA’s war theatre. In Sudan, oil fields are concentrated in the country’s south, that is, close to and in the region which was disputed by the rebel movement. But the regime of Omar Al-Bashir pursued an inhuman policy of depopulation through aerial bombardments, massacring hapless villagers and forcing survivors to flee. In the self-same process the rebels were deprived of access to people and oil. Hence, strictly speaking there is no precedent for the oil-fuelled civil wars waged by Sunni rebels in Syria and Iraq. Now – in turning from de facto supporters to opponents of the Islamic State – Europe’s foreign ministers have followed the U.S. lead, because the United States had just started bombardments of Islamic State positions in Iraq’s north. Though loudly defended on the grounds of the Islamic State’s relentless persecution of minorities, the renewed U.S. military intervention is not devoid of self-interest. Uppermost in the minds of Pentagon officials is the nexus between oil and arms. Shortly after President Barack Obama announced the withdrawal of U.S. occupation forces from Iraq in October 2011, the United States clinched a huge deal for the sale of F-16 fighter planes and other armaments to Iraq’s military, valued at 12 billion dollars. At least four in five of the top U.S. military corporations are beneficiaries of Iraqi purchases. Coincidentally, around the time when the U.S.-Iraq agreement on arms’ sales was sealed, the extraction of Iraqi crude was back to old levels, crossing the threshold of three million barrels per day in 2012. As the Iraqi government’s income from oil extraction and exports rose exponentially, U.S. and competing Russian arms’ manufacturers both lined up to bag the orders. And there is robust confidence that the oil-and-arms nexus can be sustained – according to euphoric projections of the International Energy Agency (IAE), the body of Western oil consumer nations, Iraq holds the key to future increases in world production of crude! Western policy-makers are feverishly espousing the cause of Muslim Shias, Christians and Yezidis, who are persecuted in areas of Iraq controlled by the Islamic State and, yes, there is no doubt that the Sunni extremist force is guided by a Salafi ideology that severely discriminates against religious minorities, whether Muslim or non-Muslim. But at what point in the past have Western states consistently defended religious minority rights in the Middle East? The idea seems to have emerged as an afterthought of the illegal U.S. invasion of Iraq. And are Muslim and Christian Arabs in Israel, Muslim Shias in Saudi Arabia and Bahrain – to name just some of the groups mistreated by the West’s close allies – likely to be charmed by the West’s resolve to save the Yezidis of Iraq? In any case, it is high time that the policy reversals in Brussels be questioned. To recap: a turnabout in relation to the twin civil wars in Syria/Iraq was staged twice. First, in September 2011, a general prohibition on investments in and exports of oil from Syria was imposed, affecting both Assad’s government and Syria’s opposition. Then, in 2013, the European Union shifted de facto towards a position favourable to Syria’s Sunni extremist rebels. Although the European Union’s foreign ministers now appear to have realised their sin, the damage can no longer be repaired without a complete overhaul of E.U. policy-making towards the Middle East. 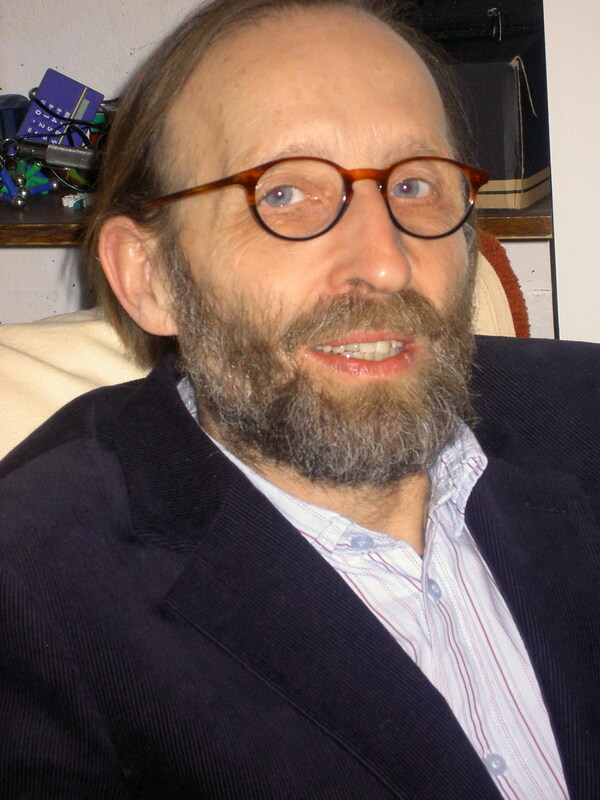 * Peter Custers, an academic researcher on Islam and religious tolerance with field work in South Asia, is also a theoretician on the arms’ trade and extraction of raw materials in the context of conflicts in the global South. He is the author of ‘Questioning Globalized Militarism’. In fact, the line of thinking adopted by Russian officials responsible for tax policy is very simple. Faced with the predicament of an economy dependent on oil and gas (half of the state budget comes from oil and gas revenue, while two-thirds of exports come from the fossil fuel industry), they decided to act as usual – by stimulating more drilling and charging the rest of the economy with the additional tax burden. There have been many warnings from well-known economists about the “resource curse” [the paradox that countries and regions with an abundance of natural resources tend to have less economic growth and worse development outcomes than countries with fewer natural resources] – and its potential consequences for the countries affected: from having weak industries and agriculture to being prone to dictatorships and corruption. For a long time, however, economists have been keen on separating the economic and social impacts of fossil fuel dependency from the environmental and climate-related problems. But now, these problems are closely interconnected, and Russia might be the first to feel the strength of their combination in the near future. Medvedev may not have read much about the “resource curse” but he should at least be familiar with the official position of the UN Framework Convention on Climate Change (UNFCC), whose Executive Secretary Christiana Figueres has said that three-quarters of known fossil fuel reserves need to stay in the ground in order to avoid the worst possible climate scenario. One should at least expect this amount of knowledge from Russia as a member of the UN Security Council and it will be interesting to note whether the Russian delegation attending the UN Climate Summit in New York on September 23 will be ready to explain why, instead of limiting fossil fuel extraction, the whole country’s economic and tax policy is now aimed at encouraging as much drilling as possible. Is it not worrisome that so many climate disasters have to occur before Russian officials start to realise that climatologists are not lying? Or perhaps they are simply not inclined to take the climatologists’ warnings seriously. Another significant problem could arise for Russia if oil consumers start taking U.N. climate warnings seriously – and there is evidence that this is happening. The European Union (still the main consumer of Russian oil and gas) has announced an ambitious “20/20/20 programme” – increasing shares from renewables to 20 percent, improving energy efficiency by 20 percent, and decreasing carbon emissions by 20 percent. The United States has decided to decrease carbon emissions from power plants by 30 percent. These are only first steps – but even these steps can help decrease fossil fuel consumption. Fossil fuel use has only very slowly been increasing in the United States and decreasing in Europe in the last five years. On the other hand, demand for oil has continued to rise in China and Southeast Asia, and it is perhaps this – rather than the recent “sanctions” against Russia over Ukraine – that inspired President Vladimir Putin’s recent “turn to the East”. But there are serious doubts that Asia’s greed for oil will continue into the future. China recently admitted that it will soon be taking measures to limit carbon emissions – for the first time in its history. China has already turned to green energy andled the rest of the worldin renewable energy investment in 2013. Will other Asian countries follow suit? Perhaps – because they certainly have a very strong incentive. According to Erin McCarthy writing in the Wall Street Journal, South and Southeast Asia’s losses due to global warming may be huge, and its GDP may be reduced by 6 percent by 2060, despite the measures taken to curb its emissions. Well, if the oil-consuming countries meet their carbon emission targets, we can expect a 10-20 percent decrease in oil demand in the next ten years, maybe more. Any decrease in demand usually induces a decrease in price – but not always proportionally. Sometimes, especially if the market is overheated, even a small decrease in demand can trigger a drastic falls in price. Economists call such a situation a “bursting bubble”. Today, the situation in the oil (and, in general, fossil fuel) market is often called a “carbon bubble”. Because of high oil prices, investors are motivated to make investments in oil drilling in the hopes of earning a stable and long-term income. But once the world starts taking climate issues seriously and realises that most of the oil needs to be left in the ground, oil assets will fall in value. Investors will try to withdraw their money from the fossil fuel sector, and, facing a crisis, oil companies will be forced to decrease both production and prices. If the “carbon bubble” bursts, Russia will be left with sustainable businesses (that are being choked by the nation’s own tax politics) and with a perfect network of shelf platforms, oil rigs, and pipelines (which will be completely unprofitable and useless). Thus, by making fossil fuels the core of its economy, Russia is taking twice the number of risks. First, it risks ruining the climate, and second, it risks ruining its own economy. It looks like Russia will lose at any rate: if the leading energy consumers are unable to decrease their oil consumption, the climate will be ruined everywhere, including Russia. If they manage to decrease their dependence on fossil fuel, the Russian economy will be ruined. This certainly is not looking pleasant, especially if we add in the high probability of a major disaster like the Gulf of Mexico Oil spill happening in the Arctic, as well as countless minor leaks possibly occurring along the Russian pipelines. But maybe Russia just has no other alternative to an economy dependent on fossil fuels? In that case, perhaps it is worth mentioning a recent article by Russian financier Andrei Movchan in the Russian Forbes magazine. Movchan convincingly shows that the Achilles’ heel of the modern Russian economy is its extremely underdeveloped small and medium-sized businesses. And it looks like the current tax plans would literally exterminate them. If Russia were able to reverse this tax policy and make small businesses play as big of a role in the economy as they do in the United States or Europe, there could be economic growth comparable to the growth expected from oil and gas – without all the frightful side effects of an economy driven by fossil fuels. Sounds like a dream, but the first step to making it a reality can be simple: get rid of big oil lobbying in the government and try to reform the taxation system to suit the interests of Russian citizens instead of the interests of the big oil corporations. GREAT BARRINGTON, MA—(Marketwired – Aug 29, 2014) – All paths lead to Fairfield Inn & Suites Lenox Great Barrington/Berkshires hotel this fall, as the season brings a wide–reaching array of events and activities to the region. The Great Barrington, MA hotel is the only Marriott in the Berkshires and invites guests to explore the best small town in North America, while staying just moments from the some of the season's most anticipated events. The Berkshires are a hub of activity year–round, but this season brings with it a wealth of opportunity for recreation and revelry, just moments from the hotel. Guests are invited to celebrate the season at the Fall Foliage Festival, featuring the annual Fall Foliage parade, October 5, 2014, celebrating the adventurous travels that have taken place along the historic Mohawk Trail over the last century. The Fairfield Inn & Suites Lenox Great Barrington/Berkshires is ideally located just moments away from some of fall’s most anticipated events in Berkshires. Enjoy the hotel’s close location and excellent accommodations this fall season. Near Pittsfield, MA, the hotel perfectly places guests just minutes from First Fridays Artswalk, which kicks off a month of art displayed in galleries, retail and hospitality businesses along the North / South St. corridor each month. Guests can also celebrate the 19th annual birthday celebration of Lee at the Founder's Weekend Celebration September 19 – 21, 2014. Adventure awaits over two fall weekends, September 20 – 21 and October 4 – 5, 2015 during the Housatonic Heritage Walks. These inspiring adventures encourage guests to uncover the stunning natural beauty that makes up the Berkshires region. Travelers looking to get in touch with their creative side can get a behind–the–scenes look into the artistic community of North Adams October 18 – 19, 2014 during the North Adams Open Studios, or explore the Pop Up Art Gallery in Pittsfield. Meanwhile, the Williamstown Film Festival brings cinephiles front and center for a celebration that honors the cinematic achievement of some of the year's finest new independent films, November 5 – 9, 2014. Central to these and other unforgettable events on the fall calendar, the Fairfield Inn & Suites near Lenox and Stockbridge, MA invites exploration all season long, while providing guests instant easy access to the fall farmer's markets, outdoor activities and seasonal celebrations in Great Barrington and beyond. 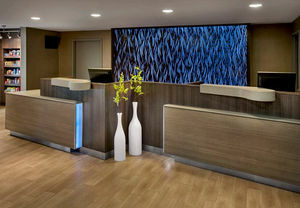 As the only Marriott in the Berkshires, the Fairfield Inn & Suites Lenox Great Barrington/Berkshires boasts a superb blend of service, comfort and understated luxury. Situated in Great Barrington, which was recently named the #1 Small Town in America by Smithsonian Magazine, the hotel is set back more than 500 feet from Rt. 7, yet is within easy walking distance of many excellent restaurants serving a wide variety of ethnic and farm–to–table offerings. Guests can discover Tanglewood, or visit a plethora of museums, historic sights, mountains, and other outdoor diversions near the hotel. Travelers are invited to start the day with a delicious complimentary hot breakfast, unwind with a swim in the heated saltwater pool, or exercise in the state–of–the–art fitness area. At the end of a busy day in Great Barrington, guests look forward to relaxing in spacious guest rooms, with refrigerator, microwave and WiFi. SEATTLE, WA—(Marketwired – Aug 29, 2014) – Boogio Bionic Foot Sensors™, a wearable technology to activate any shoe into a smart shoe, announces the pre–sale of the Boogio developer kit. The Boogio developer kit empowers developers with a Bluetooth API for direct access to the sensor data and software for configuration and gesture mapping. Spawned from a team of engineers and scientists who build sensors for F–16s and other mission critical hardware, Boogio is a breakthrough in the world of wearable technology. Boogio combines patent pending sensors capable of feeling 65,000 layers of gravitational force on your feet and also shows inner balance of your body and 3D movement of the feet in real–time. This technology delivers this data directly to mobile and connected devices. Application of Boogio's technology targets three categories — gaming, diagnostics and hands–free connectivity. Now available for pre–order, the Boogio developer kit is comprised of ultra–thin sensory stickers, 3–axis accelerometers and 3–axis gyroscopes in small Bluetooth–enabled clips, configuration software and two USB cables for a price of $189.00. Each sensor has 65,000 layers of pressure sensitivity, so simple shifts of the body can be detected. As you move, Boogio is able to sense the pressure exerted in different parts of your foot, capturing high–fidelity feedback on a variety of movements, including steps, jumps, squats, and kicks. These sensory shoe accessories come in pairs on an open wearable platform and are compatible with Windows, Mac, iOS and Android platforms. Boogio is exhibiting at PAX Prime in Seattle today through Monday, September 1st. Visit Boogio at booth #6021. For more information about Boogio and to order the Boogio developer kit, please visit www.boogio.com. Boogio was pioneered in Seattle in 2013. Using patent–pending technology, REFLX Labs works with the wearable technology developer community to create consumer products for entertainment, health and diagnostics. Now sports fans can connect and have the ultimate insider access to their favorite athletes on the web, iOS or Android. Sqor's release on GooglePlay™ is the next step to reach new audiences on additional devices. 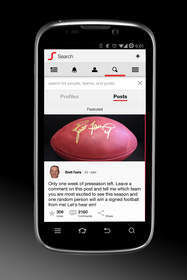 The Android app features editorial and social content posted in a timeline fashion by athletes and users, with notifications, comments, favorites, search capabilities, user and athlete profiles, images, video, and the ability to share via social media sites such as Facebook, and Twitter. Download the new Android app on GooglePlay™ at https://play.google.com/store/apps/details?id=com.sqor.droid — or get the existing Sqor app in the iTunes App Store. 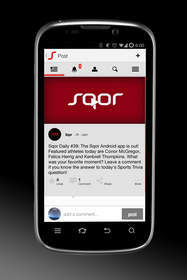 “We are very excited to be launching via GooglePlay™ and bringing Sqor content to Android devices. As one of the leading application ecosystems, we know the importance of being compatible to Android products. We highly appreciate the support that GooglePlay™ offers to app producers, and we believe that Android users who are interested in sports, interactive football showdowns, athlete contests and giveaways, and real–time access to the athletes, will love what we've created,” said Brian Wilhite, CEO and Founder at Sqor. Given this massive opportunity in sports, Sqor believes the biggest untapped opportunity in sports is the athlete — specifically the 99% that have powerful personal brands but no current off–the–field income. Sqor has partnered with over 1,500 athletes, because they know that the #1 thing fans want is greater access to the athlete. This is especially true with the younger demographic. The athletes and fans are excited that football season is finally back. Sqor wants users to get even more involved than they were before. “I'm excited about the new Sqor Showdowns. It was great getting to interact with fans who were playing against me with Sqor's Showdowns last year. With all the new gaming features Sqor has added, this year is going to be even better,” said Brett Favre, NFL Legend and Sqor Board Member. Showdowns is a feature within Sqor online (coming to mobile soon), that allows users to pick teams and predict who will win, challenge their friends, and receive virtual badges/trophies if they're right. Starting in September, Sqor users who win at least 10 Showdowns will be entered to win a $500 gift card to fanatics.com. Additionally, some of Sqor's NFL athletes such as Brett Favre, will be giving away signed memorabilia every week to Showdown users. Showdowns are intended to encourage interaction between fans and participating athletes as they go head–to–head selecting the winning teams and top performing athletes of games throughout the season. “We are excited to offer new features to enhance the sports experience for our users. We look forward to the fans' enthusiasm about the elements we've introduced, and we will continue building interactive features,” said Noah Gift, CTO at Sqor. Sqor will be adding other sports to the Showdowns such as MMA, NBA, MLB, and others in the following months. This should be good news for the existing users, as Sqor just hit 1 million YTD pageviews this past weekend, and is tracking for exponential growth for the foreseeable future. Stay tuned for more great updates with Sqor on their blog. For more information on Sqor please visit the website. Sqor (http://www.sqor.com) is a groundbreaking social and editorial sports technology platform revolving exclusively around sports, athletes and fans. Sqor delivers editorial and social content from more than 1,500 professional athletes, with a current social graph of ~25M fans. Its mission is to create the most entertaining platform in digital sports, while creating an economic opportunity for every professional athlete in the world by connecting them with fans and marketers at massive scale. Sqor has created an entirely new paradigm in digital sports by giving our growing roster of sports stars access to their most engaging fans. Sqor is based in San Francisco, California and was founded in 2011 by entrepreneur Brian Wilhite. SAN FRANCISCO, CA—(Marketwired – Aug 29, 2014) – Mattson Technology, Inc. (NASDAQ: MTSN), a leading supplier of advanced process equipment used to manufacture semiconductors announced today that J. Michael Dodson, the company's chief operating and chief financial officer, is scheduled to present at the 2014 Gateway Conference. The 2014 Gateway Conference will take place at the Palace Hotel in San Francisco on September 4. Mattson Technology is scheduled to present at 8:00 a.m. Pacific time with one–on–one meetings held throughout the day. The investor presentation slides, as well as a live and subsequently archived webcast of the presentation, will be made available on the investor page of Mattson Technology's website, http://www.mattson.com. For additional information or to schedule a one–on–one meeting, email your request to schedule@gateway–conference.com or call Chris Tyson at (949) 574–3860. Mattson Technology, Inc. designs, manufactures and markets semiconductor wafer processing equipment used in the fabrication of integrated circuits. We are a leading supplier of plasma and rapid thermal processing equipment to the global semiconductor industry, and operate in three primary product sectors: Dry Strip, Etch, Rapid Thermal Processing and Millisecond Anneal. Through manufacturing and design innovation, we have produced technologically advanced systems that provide productive and cost–effective solutions for customers fabricating current– and next–generation semiconductor devices. For more information, please contact Mattson Technology, Inc., 47131 Bayside Parkway, Fremont, CA, 94538. Telephone: (800) MATTSON / (510) 657–5900. Internet: www.mattson.com. “Safe Harbor” Statement Under the Private Securities Litigation Reform Act of 1995: This news release contains forward–looking statements. All statements other than statements of historical fact are statements that could be deemed forward–looking statements, including but not limited to statements regarding the company's financial and operational projections and performance, technology, product performance and reliability, anticipated demand for the company's products, ability to convert new market opportunities and plans, strategies and objectives of management for future operations. Forward–looking statements address matters that are subject to a number of risks and uncertainties that can cause actual results to differ materially from those expressed or implied by such forward–looking statements and assumptions. Such risks and uncertainties include, but are not limited to: macroeconomic and geopolitical trends and events; end–user demand for semiconductors; customer demand for semiconductor manufacturing equipment; the timing of significant customer orders for the company's products; customer acceptance of delivered products and the company's ability to collect amounts due upon shipment and upon acceptance; the company's ability to timely manufacture, deliver and support ordered products; the company's ability to bring new products to market and to gain market share with such products; customer rate of adoption of new technologies; risks inherent in the development of complex technology; the timing and competitiveness of new product releases by the company's competitors; the company's ability to align its cost structure with market conditions; and other risks and uncertainties described in the company's Forms 10–K, 10–Q and other filings with the Securities and Exchange Commission. Specifically, Mattson's actual net sales and net income per share for each of the fourth quarter of 2013 and the first quarter of 2014 could differ materially from expectations, and are subject to adjustment. You are cautioned not to place undue reliance on forward–looking statements, which speak only as of the date of this announcement. The company assumes no obligation to update the information provided in this news release.